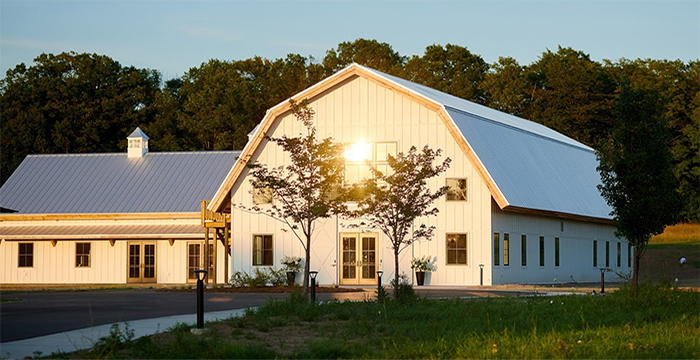 Nestled within a stunning 30-acre property in Door County Wisconsin, Northern Haus is a serene escape for events both grand and intimate. Open throughout the year, the picturesque beauty of the surrounding land welcomes gatherings and celebrations of any kind. From the bright warmth of Summer to the tranquil ease of Winter, Northern Haus provides multiple options for both indoor and outdoor events. Our brand new venue blends modern luxury with Midwestern chic, featuring soaring ceilings and chandeliers. The more intimate Forest Sanctuary is a secluded retreat for ceremonies or cocktails. Whatever your occasion, Northern Haus is pleased to welcome you here. Please visit www.NorthernHaus.com for more information.